Get the family together for some friendly competition in this multiplayer party game. 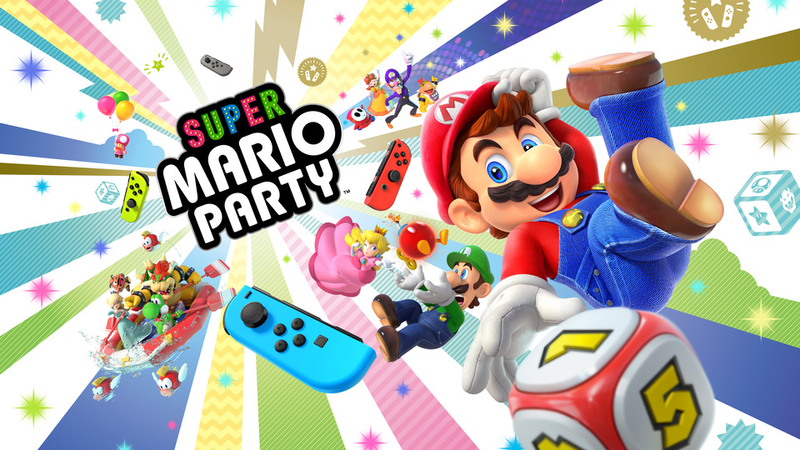 Super Mario Party is the newest installment in the popular Mario Party franchise. The game features multiple game modes, each focused on a variety of mini-games. The game’s standard mode, Mario Party, lets up to four players compete in 80 new mini-games as they make their way around a virtual game board. Some mini-games pit all four players against one another, while others may see players split into two teams of two, or even one against three. Finally, if your family owns more than one Switch system, you can try a feature called Toad’s Rec Room, which lets you pair the two systems and then lay them next to each other on a flat surface to play games that use both screens at the same time. Super Mario Party is available to purchase digitally and physically for $59.99 on Switch. The game is rated E for Everyone by the ESRB. Check out the first 19 minutes of Super Mario Party in our SuperParent First Look below to see if this is a game your family would enjoy.